After their guardian died, Mookie and Chirp didn't have anywhere to go. Friends nor family wanted these two sweet kitties that already had their entire world turned upside down. They were both scheduled to be euthanized at the vet. But fate intervened, and we are so happy to welcome these two very sweet senior kitties to Young at Heart! These two kitties have just had their check ups, and they are healthy and oh so sweet. You should hear their purrs of gratitude! 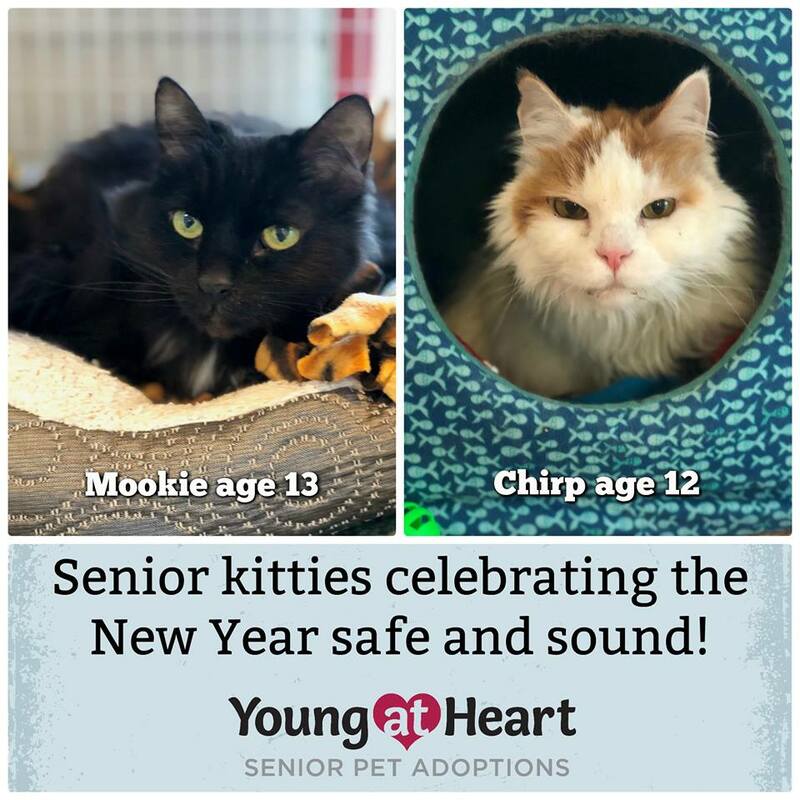 Thanks to your support, Mookie and Chirp will get to enjoy the new year safe and sound with Young at Heart! We can't wait to find them a forever family for 2018! 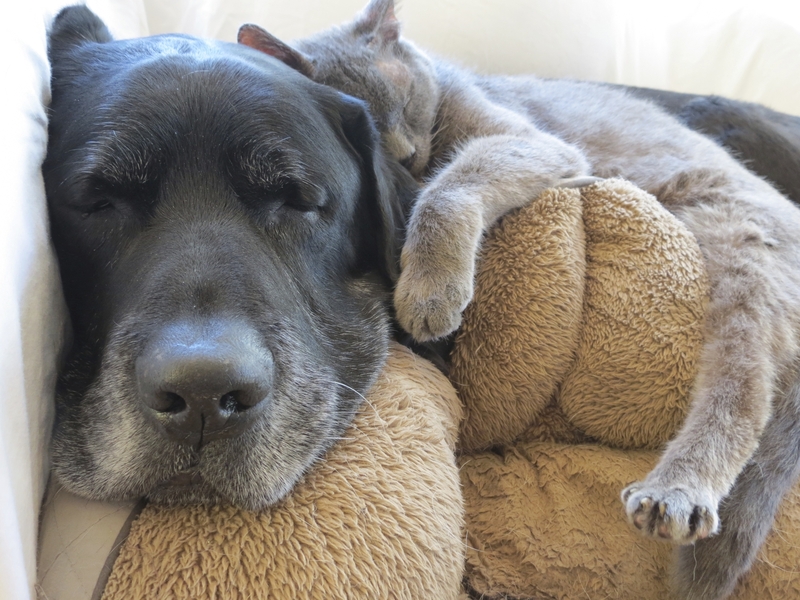 Thank you for giving hope to senior pets in need!